It’s been an odd year for Apple fans. No new iPad in the Spring, no big new product announcements, court cases left, right, and center – and even the rumors cycle has got quite boring. Apple’s WWDC keynote event is tomorrow and hopefully there will be some exciting news after such a quiet first half of 2013. 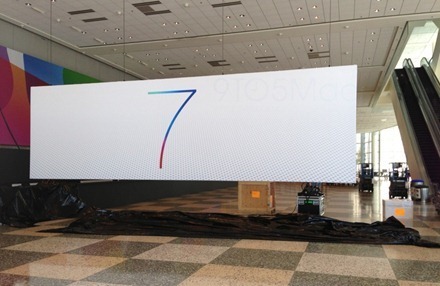 In the weeks leading up to it the vast majority of the speculation I’ve seen has been all about an expected design makeover for iOS 7 – the by now infamous ‘flat’ design, that’s taken to be all but confirmed by the look of the banners up at the Moscone Center where the keynote will take place. The more I read about the expected new flat design for iOS 7, the more I think I have on big wish for the new version of iOS: that Apple is focused on improvements in features and functionality, not just on design. Great design tends to bring great functionality alongside it, as Apple products have often exemplified. So I don’t have anything against a design refresh for iOS; I am just looking for much more when we hear about iOS 7 tomorrow.